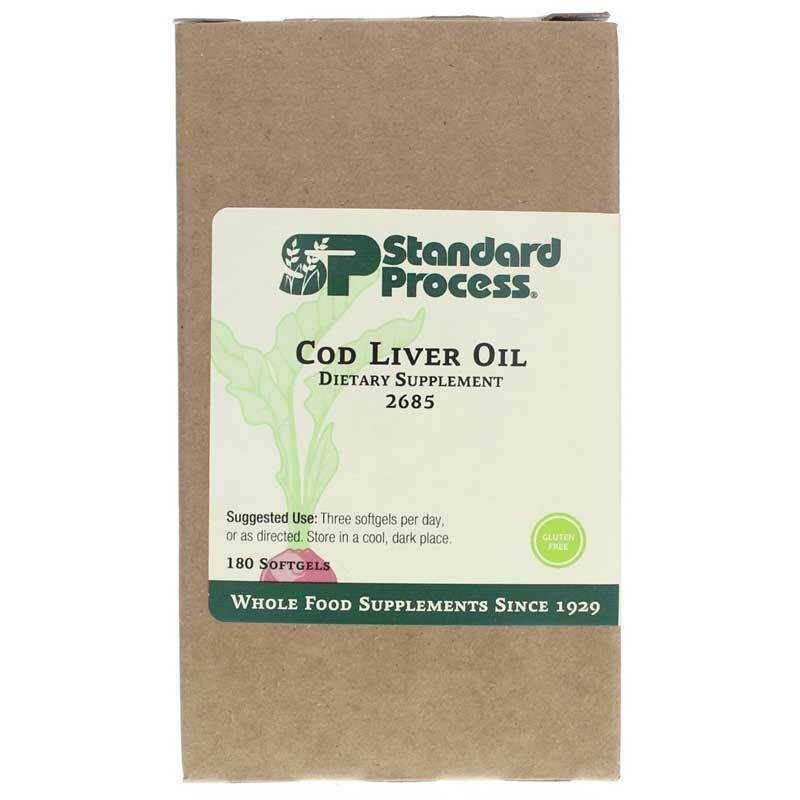 Cod Liver Oil from Standard Process is a professional quality fish oil supplement that addresses vitamin A deficiency and vitamin D deficiency while supporting the natural inflammatory response and a healthy immune response in the body. Careful processing ensures this cod liver oil maintains its natural profile of vitamin A, vitamin D, omega-3 fatty acids, and a small amount of coenzyme Q10 (CoQ10). 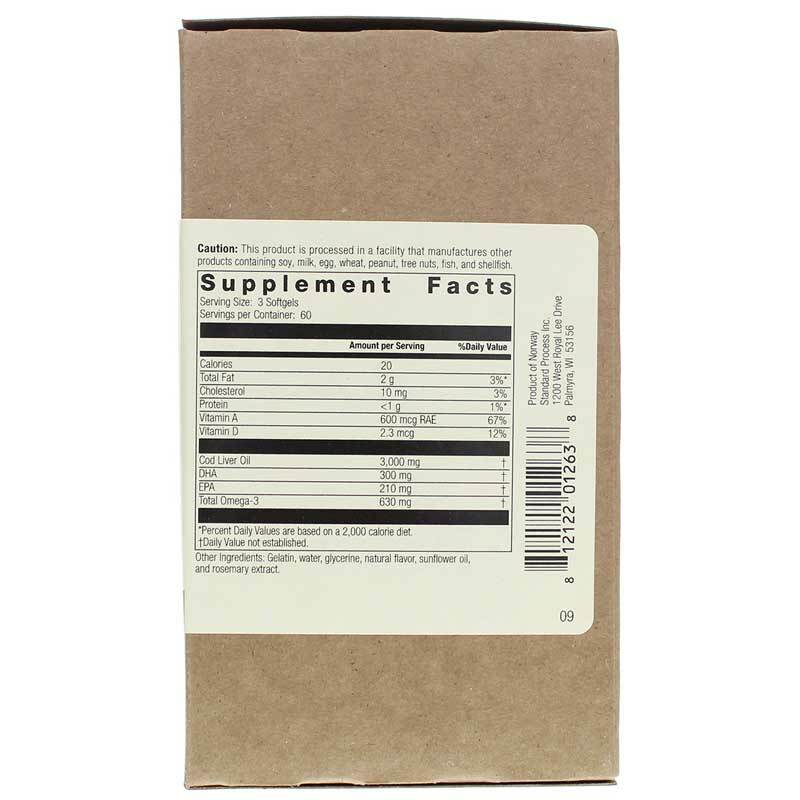 Other Ingredients: Gelatin, glycerine, water, natural flavor, carob, vitamin E (soy), and rosemary extract. Gluten-free. Adults: Three perles per day, or as directed.